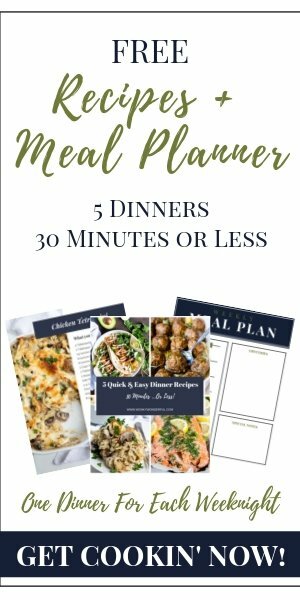 Don’t think of salad as just a diet food! 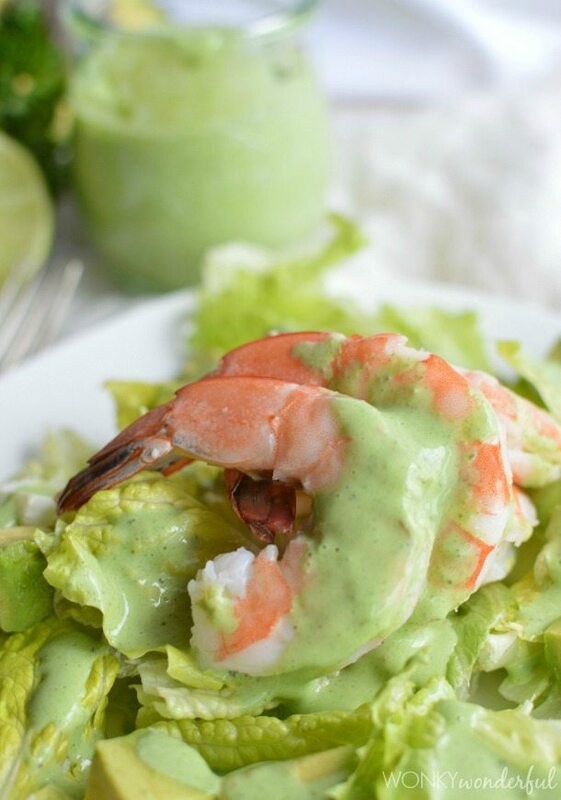 This Fresh Shrimp Salad is simple and flavorful. 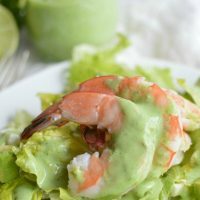 Salad topped with shrimp, avocado and a creamy homemade dressing that is full of vibrant herbs! I usually prefer my salads to be jam-packed with ingredients. By the time it is all said and done, I may as well have eaten a double cheeseburger and fries! This Shrimp Salad has only a few ingredients. But it is bursting with flavor thanks to the Creamy Chimichurri Homemade Salad Dressing! I have been obsessed with chimichurri lately. Why? I don’t know. I just get obsessed with random things from time to time. The Creamy Chimichurri Dressing is very easy to make. 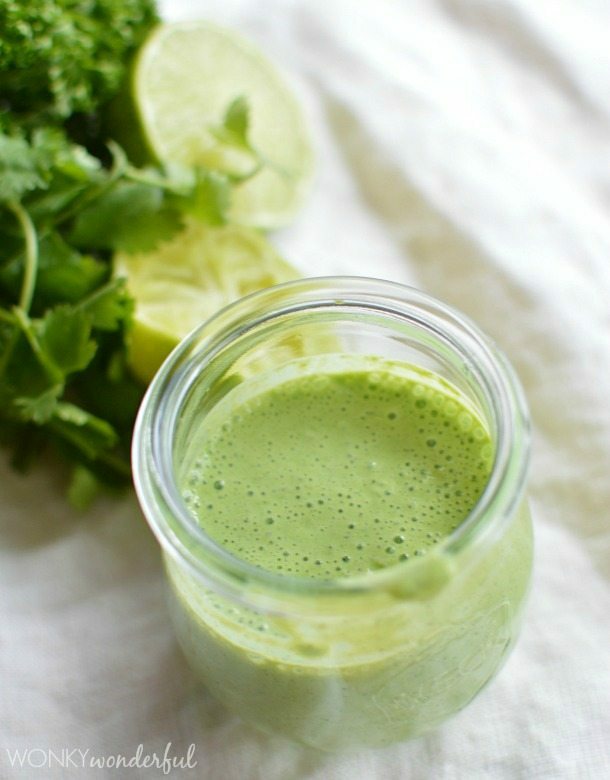 Just blend the ingredients in your food processor or blender and it is ready! 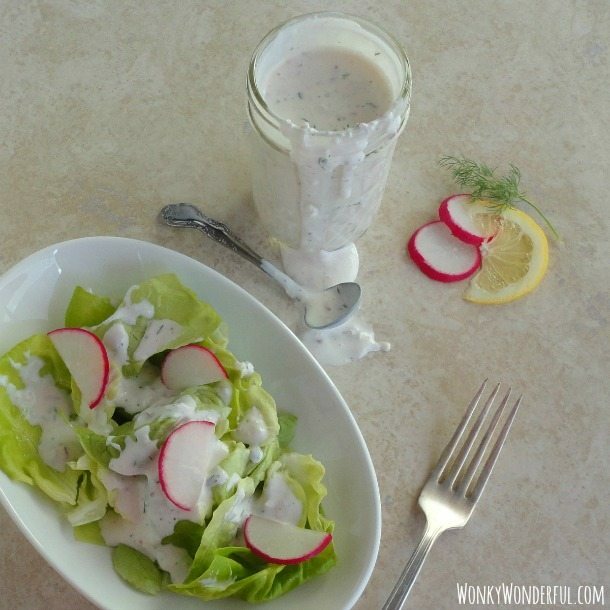 The best thing about homemade salad dressing is that YOU control the flavor and the ingredients. Blend all of the ingredients together. Refrigerate for 10-15 minutes before serving. Bring water to a boil. Boil your shrimp until pink and slightly curled. 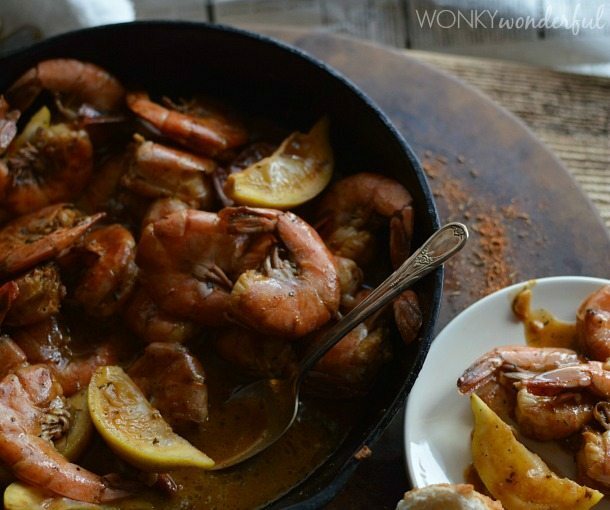 (time varies depending on shrimp size) Then refrigerate to cool. 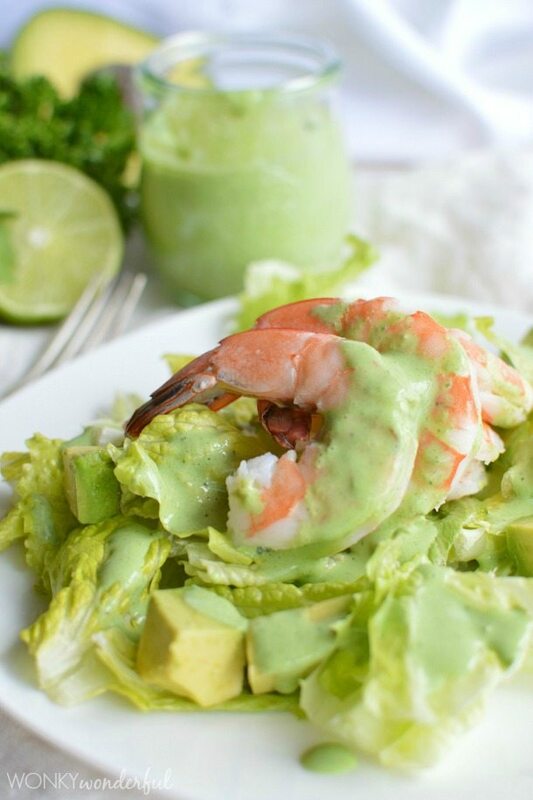 Top lettuce with avocado, shrimp and dressing. Oh, me too! I have to use frozen shrimp. I’d kill for some fresh shrimp with the heads still on!